What’s the message from this? What’s the point? I have a couple of thoughts. First, this episode proves why corporate and business meeting planners need to look for corporate comedians, not just comedians. Richards used THE single most insulting words over and over again. And this is plenty to end the comedian’s career. But if you look at the video, even the words that people are NOT writing about are bad enough to ruin any single business convention. My second point is that I worry for immediate future of clean corporate comedians. (Even me.) Richards might make meeting planners worry about even the most experienced and credentialed clean corporate comedian, and that’s a shame. 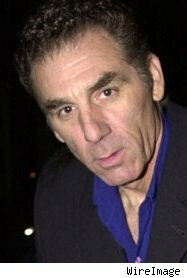 Business audiences today need a laugh more then ever; but Michael Richards might make the buyers too nervous to pll the trigger. Sorry Michael, but you blew it. The good news is that your rant pointed the spotlight on the need for buyers to know who they are booking. 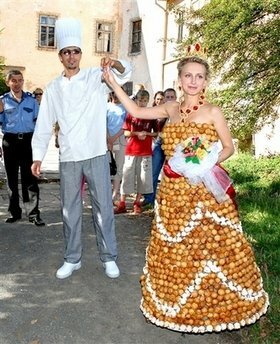 Can you imagine wearing this dress to work on a ‘casual Friday?’ Hey, who needs doughnuts when you’re wearing cream puffs? It might be a tad “inappropriate,” But gosh!.. It’s tasty! made out of flour, eggs, sugar and caramel in the western Ukrainian city of Uzhhorod in Aug. 27, 2006. The edible dress, made of 1,500 cream puffs and weighing in at 20 pounds (9 kilograms), took the 28-year-old baker two months to make. Need some humor in your workplace, but don’t want to wear your snacks? Need to lighten up that next meeting but don’t want to come dressed as a cream puff? Try one of my humor in the workplace keynotes or seminars. We’re back with more of our interview with Kansas City, Missouri based corporate comedian and humorist motivational speaker Mark Mayfield. He talks a bit about how we can see the world through the lens of a comedian. If we can see the world with a sense of humor it helps us keep some of the more difficult times at bay, and helps us to approach our lives with a better sense of perspective and lightness. • Make humor a habit. Do it daily and it becomes more natural and easier with time. Marks goal, each and every day, is to make his wife laugh. She can tell when he is beat down and tired, and is still always able to make him laugh. And so he works hard to return the favor. Need a corporate comedian or motivational humorist speaker for your keynote or seminar? Want to learn how to be a comedian? This site is for you! Or want to learn how to be motivational speaker? You’re in the right place! This thing cracks me up. I love that whoever went to the trouble to invent this goofy thing has a huge sense of humor. Yeah, I know that you could create some real chaos if you put it in an airport or something like that. But wouldn’t it be funny to give one to your wife on Valentines Day? Or to your (much loved) boss on her birthday? 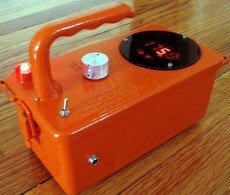 Don’t you think it might be funny putting this device on the receptionist’s desk for people to wonder about when the check in for their doctors’ appointment? Need humor in the workplace and don’t want to freak anybody out? Bring me in do do my motivational speaker humorist keynote…. 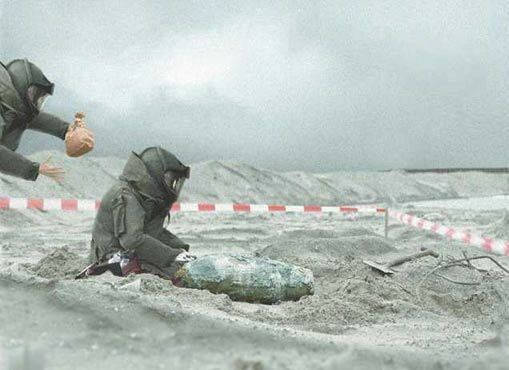 no suspicious device needed. https://www.bradmontgomery.com/wp-content/uploads/2018/11/logo-1-495x198-1-300x120.png 0 0 admin https://www.bradmontgomery.com/wp-content/uploads/2018/11/logo-1-495x198-1-300x120.png admin2006-11-16 12:51:582006-11-16 12:51:58Suspicious Device in Your Office? No Way! https://www.bradmontgomery.com/wp-content/uploads/2018/11/logo-1-495x198-1-300x120.png 0 0 admin https://www.bradmontgomery.com/wp-content/uploads/2018/11/logo-1-495x198-1-300x120.png admin2006-11-14 10:38:542006-11-14 10:38:54Ain't No Biz Like the College Biz! 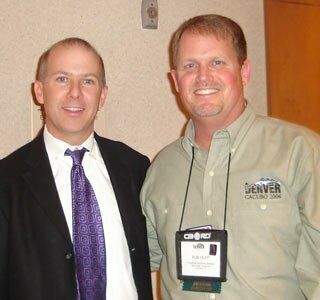 Education Speakers? Get 'em Here! Ok, I love practical jokes. And when they are done right, I think they can actually bring work groups together and encourage teamwork. I think they can —when done right — actually create and maintain humor in the workplace. This photo is pretty darn funny — but in case it isn’t obvious, this isn’t the kind of practical joke you ought to do at work. Check out my humor in the workplace seminars and keynotes here. https://www.bradmontgomery.com/wp-content/uploads/2018/11/logo-1-495x198-1-300x120.png 0 0 admin https://www.bradmontgomery.com/wp-content/uploads/2018/11/logo-1-495x198-1-300x120.png admin2006-11-11 20:19:482006-11-11 20:19:48What type of Practical Jokes Can You Do At Work? I was glad to see a local Colorado politition use some humor in this very funny, very genuine and authentic TV commercial. 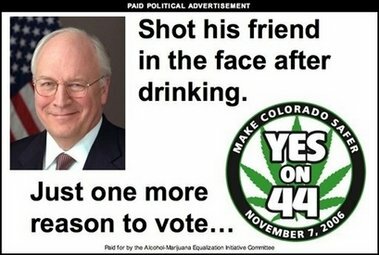 (It doesn’t tell us much about his ppolitics, but it is funny. And it proves he has a pulse, which is more than I can say for most of the cardboard-cutouts of politicians we’ve seen on the air lately. It cracked me up. But mostly I was glad that at least ONE politician wasn’t afraid to actually have — and reveal — a personality. See Ken Gordon’s commercial here. In this era of Kerry’s foot-in-mouth-during-joke, it’s a relief to see that (at least local state politicians) are still willing to use humor as a tool. I still think that the big “take away” from the Kerry fiasco will be a greater reluctance to use humor (because people will be afraid of it.) Which is a crying shame. Laugh your way to the bank? You bet. I’d like to see more folks laugh their way into public office. I’m proud to announce the re-release of our sister website, Funny Motivational Speakers. This site is yet another attempt to increase our branding and availability. I think it looks great. What do you think? https://www.bradmontgomery.com/wp-content/uploads/2018/11/logo-1-495x198-1-300x120.png 0 0 admin https://www.bradmontgomery.com/wp-content/uploads/2018/11/logo-1-495x198-1-300x120.png admin2006-11-07 23:55:492006-11-07 23:55:49Funny Motivational Speakers? You found them! 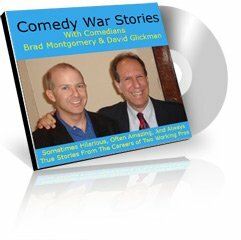 Announcing the release of Comedy War Stories, a new audio for sale in our store. something I think you’ll love. Florida Corporate Comedian David Glickman and I recorded a once-in-a-lifetime program when we were working together in California, and we were lucky to get it on tape. I’m really proud of it, and if you click here you’ll be able to hear a free sample ( of a crazy story about me and my first job working at a renaissance festival in Colorado and all of the million things that went wrong). This program was a hoot; the energy is great, David and I tease each other a bunch in a funny way, and the stories (all of which are true) kept the audience on the edges of their seats. Click here for the details on how to buy this funny conversation between two working professional comedians. https://www.bradmontgomery.com/wp-content/uploads/2018/11/logo-1-495x198-1-300x120.png 0 0 admin https://www.bradmontgomery.com/wp-content/uploads/2018/11/logo-1-495x198-1-300x120.png admin2006-11-05 01:54:492017-04-17 07:55:01How Do You Become a Comedian? And Why Is That So Funny?